Join renowned wildlife filmmaker and photographer Cristian Dimitrius in one of his exclusive expeditions to record wildlife around the world. Whether on land or under water, his expeditions always have the best guides, best infrastructure and the best locations. Live this adventure and develop your techniques of photography and video in places where wilderness prevails. A great event with the best underwater photographers from Brazil. 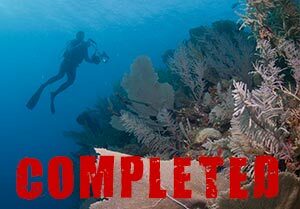 Lectures, Workshops, and many dives. An unique opportunity for interaction and learning. Open to all amateur and professional photographers. You cant miss this opportunity! Curaçao is an island paradise is, who invites us to oblivion, everything and everyone. A place where we can leave all the worries and problems behind and enjoy this paradise in the Caribbean, with varied dive sites, wrecks, walls, diving with dolphins, blue waters and visibility that comes easily to 40 feet, with dive sites less 15 minutes of navigation structure and a hotel and leisure to envy any other Caribbean island. Join Cristian Dimitrius on a trip to the archipelago that has changed the way we see the world. We will spend 7 nights in a live-aboard learning more about the wildlife of the islands and underwater photography techniques, shooting and diving. Galapagos is possibly one of the few places where man's relationship with nature is still as friendly and not harmful to wildlife. Listed by Unesco as a World Heritage Site, the Ecuadorian archipelago is the second largest marine reserve in the world and eco tourist destination quite coveted. Galapagos has two singular points: the adrenaline of being on the water with large animals and the feeling of diving in underwater environments totally untouched and unexplored. 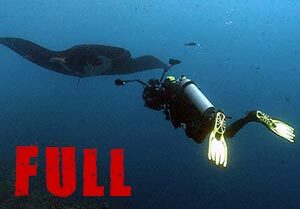 In a simple dive surface can encounter iguanas, penguins, turtles and various species of rays and tropical fish. In recent years Cristian spent much of his time filming and photographing the Pantanal. Today he is one of the more experient filmmakers in this environment. 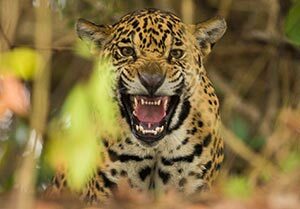 Join him on a photographic expedition where the goal is to learn and shoot outstanding images of the rich Pantanal’s wildlife. The heart of South America hides a remote and secret world, a paradise violent. Droughts and devastating floods shape the lives of exotic creatures who fight for their survival. In an area ten times larger than the Florida Everglades, the Pantanal is the heart of Brazil. The area seems idyllic, but life here is difficult. When the annual flood begins to subside, the Brazilian Pantanal becomes territory of big cats. The battles between jaguars and alligators occur in a scenario with all the most extreme elements of the Earth. Land animals must fight for their chance to eat, meet and reproduce.